Jack Kiersey praised Everton for “helping me develop as a player and a person” after signing a new one-year deal with the Club. 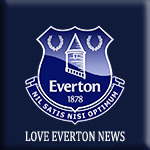 The 19-year-old midfielder joined Everton’s Academy aged 10 and penned his maiden professional deal last year. He added he is raring to go for the upcoming season after a 2017/18 campaign frustrated by injury. He says he is determined to hit the ground running and showcase the qualities that saw him named the Under-18s' Player of the Season in 2016/17. “Last year was difficult so I’m really happy I got a new deal and now I want to kick on and stay fit,” he told evertonfc.com. “I had an operation on my hamstring that kept me out for a lot of last season and I had a few other niggly injuries. But I’m ready to get back into it now. I’m fully-fit, strong and ready to go. “I like to get on the ball, I’m box-to-box. I like to score, tackle and pass. “I think I’m an all-round midfielder. I can go forward and attack and help the side defensively, too. Whatever role I’m given, I’ll do everything to make sure I help the team. Manchester-born Kiersey was also eager to highlight how Everton has helped him mature both on and off the field in his nine years at the Club. “You can always learn from all the coaches and the staff at Everton,” he explained. “You never stop improving as a person and as a player. Over the years I’ve grown up a lot. “The coaches and a staff here, they’re great at helping you not just develop your skills on the pitch, but as a person, too.